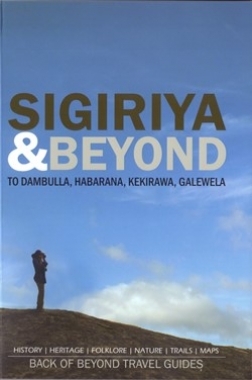 "The strong connection to the island, its people and its heritage runs like a red thread throughout this guide, truly a book by Sri Lankans on Sri Lanka." – Anu Weerasuriya, Studio Times Ltd.
A practical and consice guide to discover and explore nearly seventy fascinating sites. For each site we have given an English, Sinhala and Tamil name to help when asking for directions, a drawing, a brief description, directions to reach it, a GPS position for a precise location, and a map to help you to get there. A practical and concise guide to discover and explore nearly sixty-six fascinating sites. A practical and concise guide to discover and explore nearly 80 fascinating sites. For each site an English, Tamil and Sinhala name to help when asking for directions. A drawing, a brief description, directions tor each it, a GPS position for a precise location and a map to help you get there.